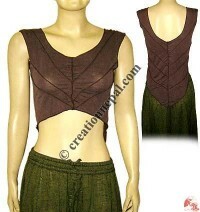 We have varieties of ladies shirts, kurtha tops, halter tops, embroidered shirts as well as plain color kurthas made of different fabric like Nepalese cotton kurta, rayon kurtha, viscose and sari silk tops and kurthas. 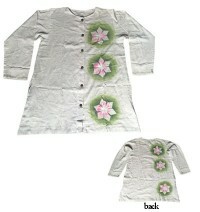 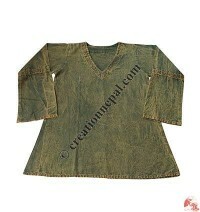 Nepalese handmade cotton shirt are offered as a ladies clothing in Nepal. 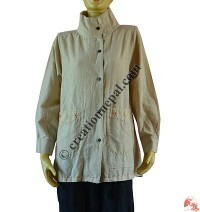 Being a manufacturers and wholesalers of Nepal clothing items, Creation Nepal offer different kind of cotton shirt for woman made of pure Nepalese cotton in large selection of color and different sizes. 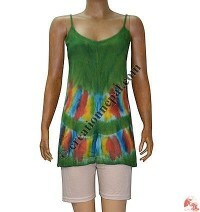 We have the creation of different styles shirts adding them tie dye, patch work, hand embroideries, stone wash, block prints, hand paintings etc. 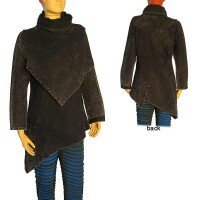 for the uniqueness and quality. 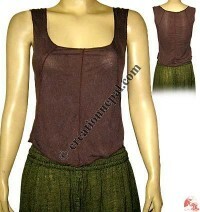 Nepal cotton blouse, high-neck sweat shirt, cotton sleeveless frills dress, Block printed cotton kurta, Srinker tank top, Khaddar over-dyeing tube top, Sinkar cotton halter top, Two-layer thin cotton top, Cotton tie-dye halter top, Tie-dye sleeveless top, Choli design cotton top, Cotton string top, Cotton string top, Sari silk quarter sleeves top, Stripes cotton string halter top etc. 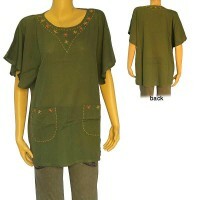 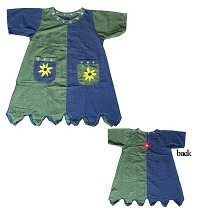 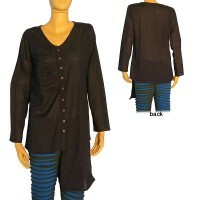 are some of the examples of our Nepal shirts for women available online. 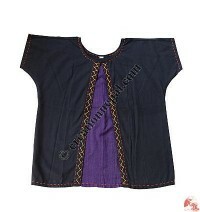 If you are looking for something different ladies Kurtha or Kurtis, browse creationnepal.com, we have wide range of Kurtha tops made with the combination of traditional and modern techniques. 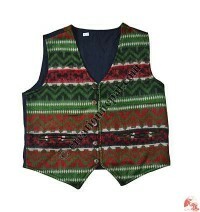 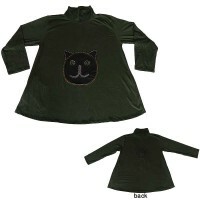 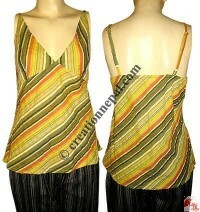 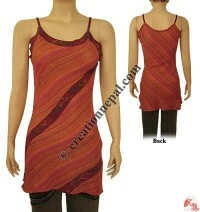 Creation Nepal offer wide range of women clothing especially the handmade garments for ladies. 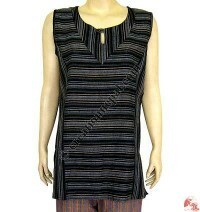 Shop for women's Kurtha shirts, open sleeves cotton Kurtha top, Cotton Kurtha, Stone-wash 3-flower kurtha, Ramnami Kurta at wholesale price.